Hey Mama! 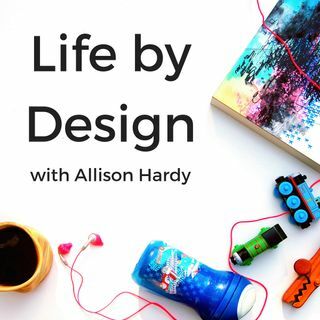 And welcome to episode #95 of the Life by Design Podcast with Allison Hardy! Today I have the pleasure of introducing you to the Diet Break-Up Mentor, Tiffany DeLuisi. Tiffany has counted calories (and points), she’s measured her food, and drank her meals. She’s worked for hours on end and that only lead her to hating exercise. She knows what it’s like to feel like you’ve tried every fad diet out there and not seeing the results you were hoping (and praying) for. She knows that ... See More health isn’t defined by the number on the scale or the size of our jeans. There’s so much more to health than that. There’s also more than one way to lose weight, in a healthy way, that doesn’t include deprivation and feeling like we’d rather eat dirt than continue another day on another dreadful diet. Tiffany believes that most disease is treatable and preventable through proper nutrition and lifestyle change (including reducing stress and getting more sleep). Tiffany knows there no “one size fits all” approach to getting healthy. It’s about feeling comfortable in your skin without taking extreme unhealthy measures while reclaiming your energy and vitality. In Tiffany’s interview we talk about her struggle with dieting and losing weight and how that has brought her to the work she now does with her clients. We also talk all about her business, how she used to (and maybe still is) her ideal client, and how she approaches gut health and sugar detoxes for optimum health. > Real food freedom comes from focusing on our health and the weight loss is an added benefit. > As soon as Tiffany started actually eating what she wanted, instead of following a strict diet, she start to lose weight. Her body gave her very clear cues as to what it wanted, instead of restricting her body’s intake. > Changing your mindset around how you think about food is imperative before you can start to actually change your eating habits. > Health originates in the gut. > If you’re tired all the time, but getting enough sleep, you may be exhibiting symptoms of a leaky gut. > You have a gut type! The symptoms you are experiencing produce different types of bacteria.